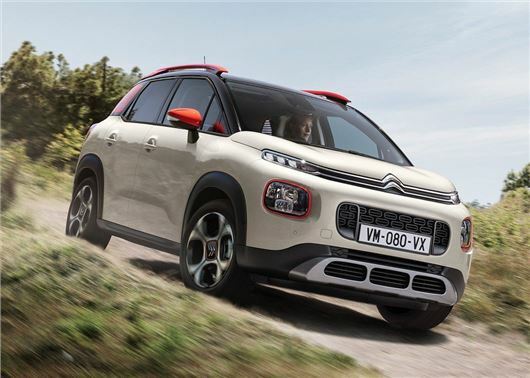 Citroen is expanding its range with the launch of the C3 Aircross. The rugged new model will replace the C3 Picasso MPV, when it goes on sale in November, with prices starting in the region of £18,000. ﻿The 2017 Citroen C3 Aircross reaffirms PSA's shift from MPVs to SUVs, with the new model's emphasis firmly on all-roading. As a result it gets a beefed up appearance, with 10mm raised ground clearance and larger 16-inch wheels fitted as standard. The wheel arches also get plastic cladding while the front and rear get metal skid plates. As with the standard C3, the Aircross will be front-wheel drive only, but feature grip control and hill descent assist to enable it to deal with wintery conditions and steep inclines. Citroen will also offer 17-inch mud and snow wheels and tyres as an option, which should make short work of farm tracks and rural roads. Most of the engines will mirror those offered with the standard C3, with the range encompassing three-cylinder petrols and four-cylinder diesels. The PureTech petrols will be available with 82PS, 110PS or 130PS, along with a six speed manual or EAT6 automatic gearbox. There will only be two BlueHDi diesels - 100PS or 120PS - and both will be limited to a manual gearbox. Citroen hasn't released any figures relating to CO2 or fuel economy for any of the petrols or diesels. The cabin should be large enough to fit four adults and the boot's standard 310 litres can be expanded to 520 litres by sliding the rear bench forward. Total storage will be 1289 litres, should you fold the rear seats, which will also boast a 60/40 split. Specs and trim levels are still to be confirmed, but we expect the C3 Aircross to get an impressive array of tech, with wireless smartphone charging, online navigation, with real-time traffic alerts, and an integrated dash cam. Keyless entry/start, head-up driver's display and autonomous city braking will also be available; however, at this stage, it's unclear what will be standard and what will cost extra. Citroen is promising a huge range of customisation options, with 90 different exterior paint schemes that will include four different roof colours. The interior can also be personalised with a choice of coloured dashboard inserts, two-tone leather or cloth seats. The new C3 Aircross will replace the C3 Picasso and provides the strongest hint yet that Citroen might shift away from its traditional MPVs by replacing them all with SUVs - something that's well underway at Peugeot, with the relaunch of the 3008 and 5008.